Last month, I enjoyed a visit to the Blue Ridge Mountains and a residency at the Lillian E. Smith Center for Creative Arts. 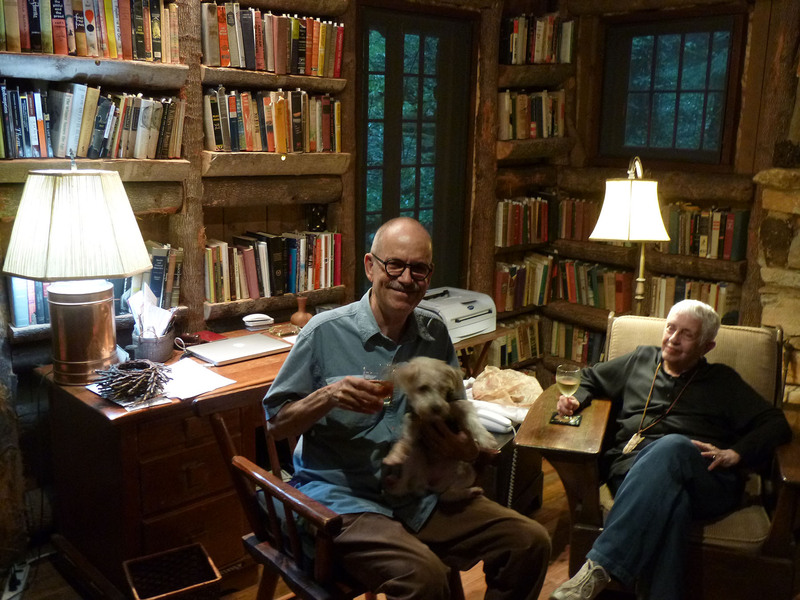 Nancy and Robert Fichter are the gracious hosts of the Center. They have a way of making you feel like family. The Lillian E. Smith Center is a place that I have been blessed to return to for many summers. I’ve met so many wonderful and inspiring artists on my visits here, and this year was no exception: Kamla, a writer and poet; Karl, a costume designer; and Christopher, a choreographer and stained glass artist. We enjoyed a wonderful exchange in presenting our work to each other over drinks in the Center’s Common Room. It was wonderful to take a respite from the city and breathe in some fresh mountain air; to exchange for a while the city skyline for an endless expanse of mountains; to exchange the sound of sirens for the sound of cicadas; to hear how the hummingbird sings compared to the sound of the hummingbird’s wings; to be enveloped by the sound of moving water rushing over rocks… It was difficult to leave that space, but it’s always nice to return home. This entry was posted in Uncategorized and tagged Artist Residency, Blue Ridge Mountains, Lillian E. Smith Center, Mocassin Creek State Park, Nancy Fichter, Robert Fichter. Bookmark the permalink.